Kenilworth Union Church is joining faith communities from across Chicagoland for the Green Team Summit at the Field Museum on Saturday, September 22. This environmental stewardship day has been held for three years, and seeks to connect people of diverse faiths as they come together to care for the Earth. The Summit will host a series of workshops on topics such as climate justice, water conservation, and habitat restoration, and will also discuss the roles these issues play in faith. 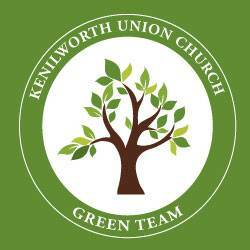 Through connecting with other congregations about these environmental concerns, the group from Kenilworth Union seeks to curate new ideas, gain expertise, and gather the momentum to be an environmentally “green” church. In the spirit of the Green Team Summit gathering diverse groups together, Kenilworth Union also invites non-church members to join in attending. Says the Rev. Dr. Katie Lancaster, “We want others to join us and bring their own ‘green team’ from their communities.” The church is urging others in the North Suburban area to commit to thoughtful environmental choices, and is eager to help as many attend this summit as possible. Interested participants can contact the Rev. Lancaster.